As always, a nearly eternal wait for the next vlog, but here it is. Today’s post is the fourth track from Songs From the West Coast, American Triangle. This is the first song I ever heard from the album. I saw Elton in Tulsa, OK shortly before the album was released and he played this song. That moment will be forever etched in my mind. If you don’t know the meaning behind this beautiful piece of music, I will give you a little background. Bernie wrote this lyric about Matthew Shepard, a gay student at the University of Wyoming. 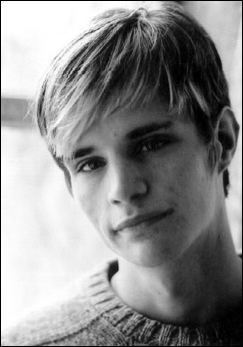 On the night of October 6th, 1998, Matthew Shepard was brutally beaten and left to die by two men. The two men did this out of plain hatred deeply rooted in their hearts. Matthew was a bright young man with a bright future, but his life was cut way to short because someone else didn’t approve of his sexuality. My stomach turns to think that hatred like this still exists in our society. Thank you Elton and Bernie for keeping the memory of Matthew alive. His sacrifice will never be forgotten. As you listen to this song please remember that no matter what your political, moral or religious beliefs are, hate is wrong.